AWM has been a leading independent supplier of professional weighing equipment for over 40 years. Founded by Brian Spink in 1979, in the historic market town of Bury St Edmunds, we have grown to become a successful and highly respected weighing scale company, supplying weighing platforms, indicators and software solutions to an established network of distributors throughout the UK and around the world. 1979 - After the initial formation of the company AWM begins supplying industrial and retail weighing scales and calibration/repair services to the local businesses of East Anglia. 1988 - After a number of years supplying other manufacturer's products, AWM see the potential for manufacturing their own industrial weighing range that would offer high quality and cost effective scales to its growing customer base. 1989 - AWM Limited launch the Valueweigh range of industrial platform scales, creating a trusted and highly regarded brand of professional weighing solutions. The Valueweigh range has expanded over the years (it is now commonly referred to as the VW range) and remains as popular as ever, offering premium quality, UK manufactured weighing solutions designed and built to the highest quality standards. 1994 - AWM refocuses it's strategic operations moving from an end-user, service based company to a trade supplier. 1995 - AWM quickly expands it's growing distribution network in the UK. 1998 - AWM becomes UK distributors for Cardinal Detecto Scale, a leading US scale manufacturer, and introduced their impressive range of weight indicators and weighing equipment to the UK market. Today, Cardinal is a popular and well known brand that is highly respected throughout the UK scale trade for its quality and reliability. 2002 - AWM Limited become exclusive UK distributor and operate the European Warehouse for Cardinal Detecto. 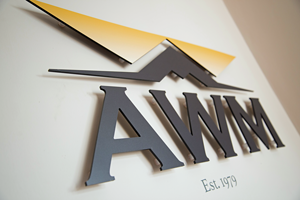 2003 - AWM Limited expands to it's current offices on Chapel Pond Hill. 2009 - AWM expands it's Software Department with a dedicated project management team and begins writing software solutions for the Cardinal 825 weight indicator. 2016 - AWM become UK distributors for Baykon, an established and respected manufacturer of professional weighing and process control solutions based in Istanbul, Turkey, expanding their range of weighing solutions to include process control. 2017 - Along with it's local partners AWM founds Eastern Weighbridge Testing, offering the scale trade a professional weighbridge test unit service for UK wide hire. Today, AWM Limited is one of the UK's leading trade suppliers of professional weighing solutions. Our impressive VW, Cardinal and Baykon product ranges cover all aspects of the weighing industry from premium quality platform scales through to bespoke software solutions and process control.